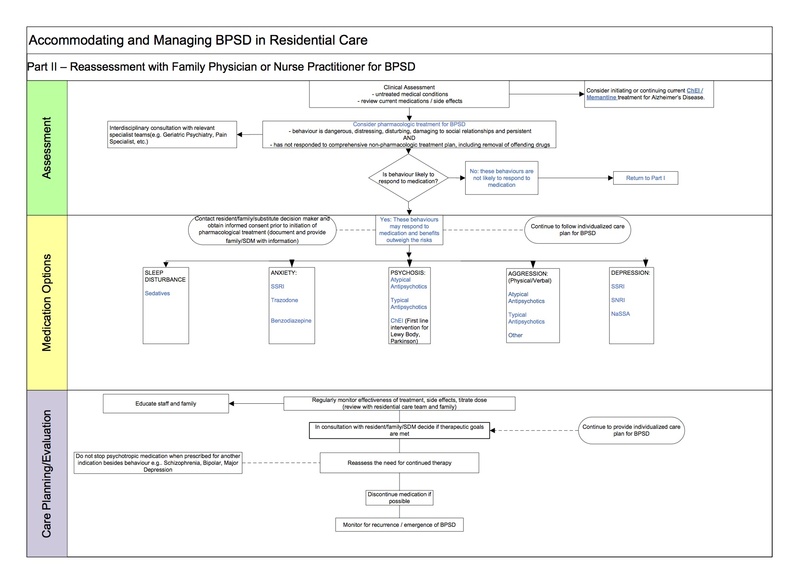 The BPSD Consensus Algorithm project is a provincial collaborative effort, that originated and was led by Interior Health, and included representation from all BC Health Authority partners (Fraser Health, Island Health, Northern Health, Vancouver Coastal Health), the BC Ministry of Health, general and specialist physician partners, community pharmacists, and the BC Patient Safety & Quality Council. 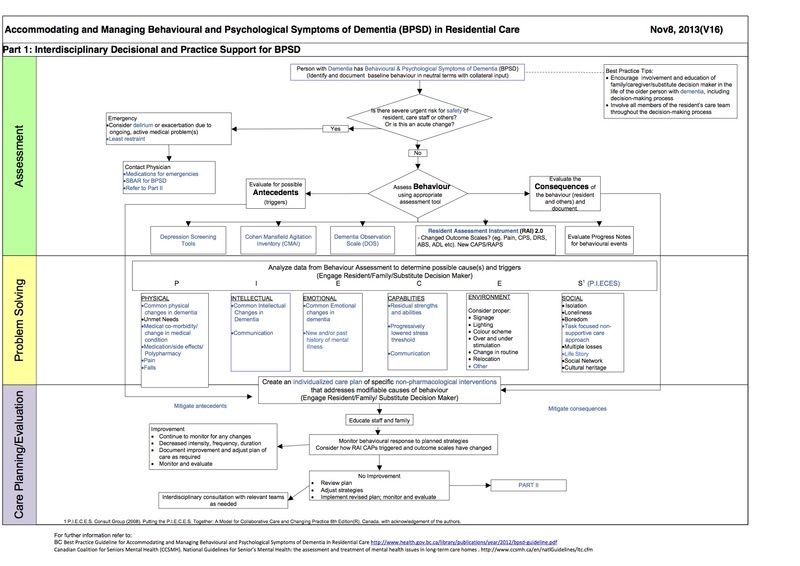 The mobile tool is intended to provide an accessible online format for health authorities, physicians, clinical experts and care staff in all of British Columbia’s health care settings to use the Algorithm and Guidelines with the goal of supporting interdisciplinary, evidence-based, person-centred care for persons with behavioural and psychological symptoms of dementia (BPSD). You agree to indemnify and hold BC PSQC and bcbpsd.ca, its officers, subsidiaries, affiliates, successors, assigns, directors, agents, service providers, suppliers and employees, harmless from any claim or demand, including reasonable attorney fees and court costs, made by any third party due to or arising out of Content you submit, post or make available through the Site, your use of the Site, your violation of the Terms, your breach of any of the representations and warranties herein, or your violation of any rights of another. The BC PSQC is not responsible for the privacy practices of other websites that we link to. Please carefully read the privacy statements of every website that requests personal information from you.